We are located about one hour south of one of the biggest agritourism attractions in the Midwest—Fair Oaks Farms. Fair Oaks Farms isn’t just a farm, it is an educational, child friendly adventure that has more than you can do or see in just 1 day. 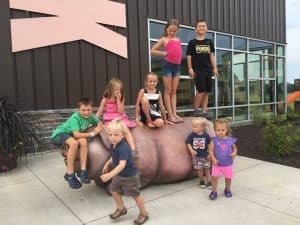 While it is one of my favorite places to take my kids in the summer, it is common to see educational tours of schools, Future Farmers of America, and adults who are interested in learning more about where our food comes from. 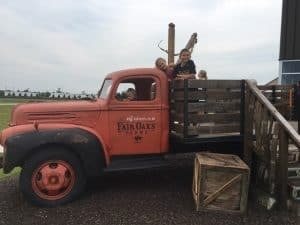 Fair Oaks Farms has different Adventures for you to explore, restaurants in which to sample some of the delicious food produced at Fair Oaks Farms, and outside activities that that could be a day trip of its own. 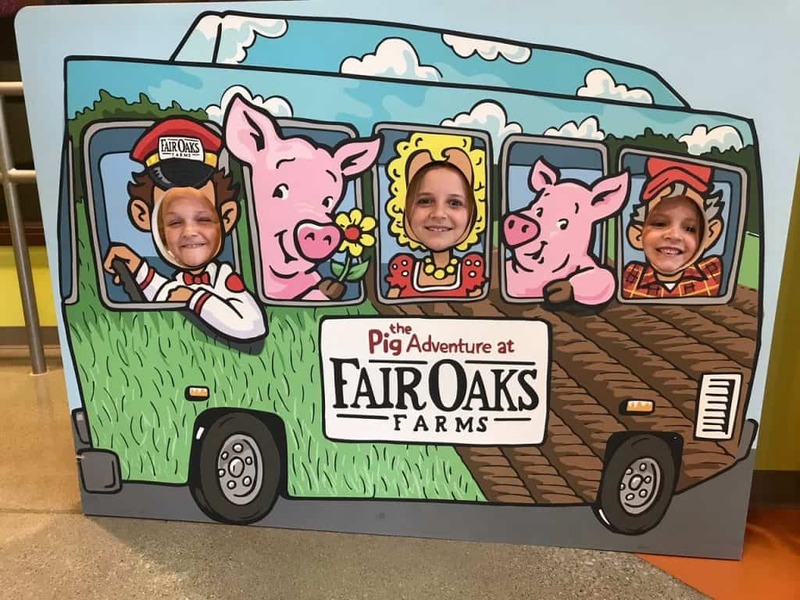 There are 3 different Adventures that you can take while at Fair Oaks Farms, The Dairy Adventure, The Pig Adventure, and The Crop Adventure. 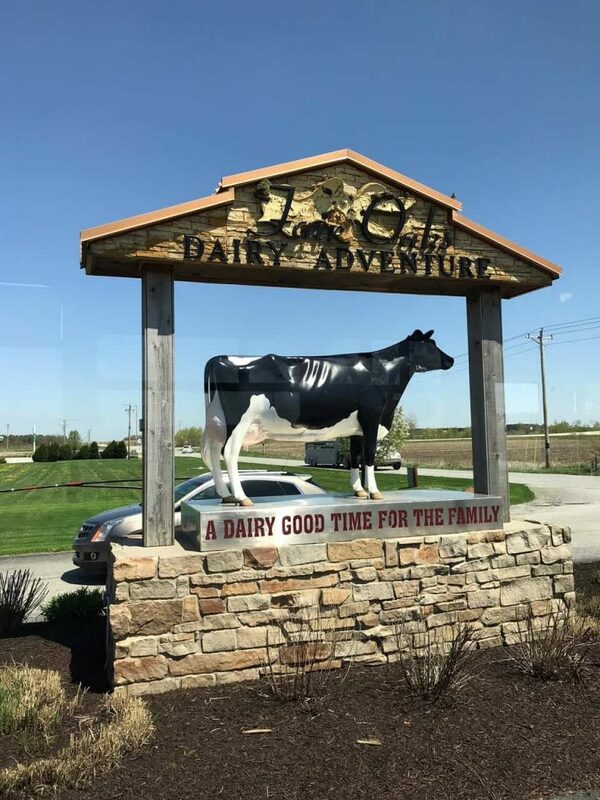 The Dairy Adventure is the oldest adventure and the foundation of Fair Oaks Farm. It includes a bus tour through the cow barns, a walking tour of the milking parlor, and access to the birthing barn where you can witness a calf born nearly every hour. Included in the price of admissions is a building full of games, hands on activities, videos, and exhibits. The Pig Adventure was added a few years ago. You take a bus tour out to a pig barn and can see feeding lots, birthing barns, and lots of piglets. The glass protects you from the smell, and the operation is quite clean, considering. There is a kid friendly building full of games, hands on activities, and videos on the pork industry. The Crop Adventure is the newest adventure of Fair Oaks Farm. There is a large building of exhibits, videos, activities, and games. There is SO much information in this exhibit that it would take you hours just to read and see it all. The price of admission depends on which Adventures you want to do that day. If you spend all day learning about where your food comes from, it is only natural that you will want to eat some. At The Cowfe you have the opportunity to sample different cheeses, purchase lunch of salads, sandwiches, and cheese plates, and they have some of the most delicious ice cream. 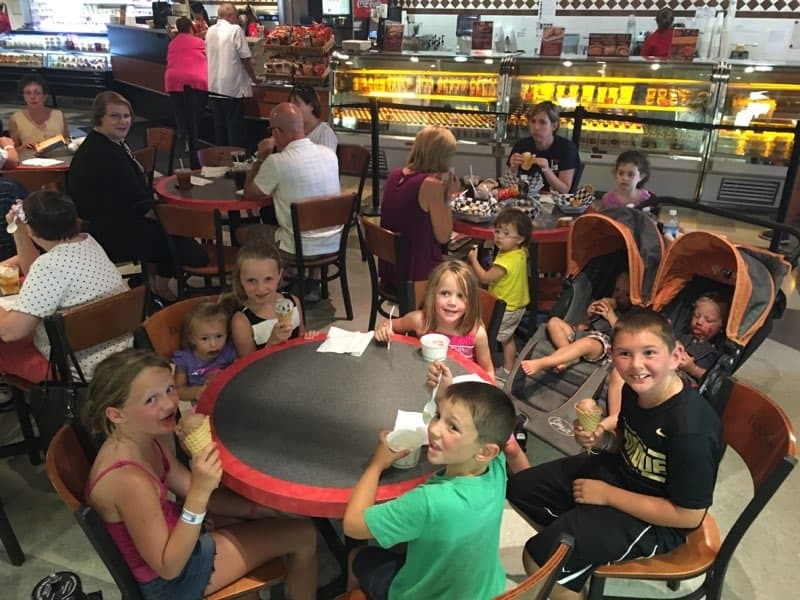 My kids wont even step foot into Fair Oaks Farms without the promise of ice cream at the Cowfe. You can eat inside at café tables, or you can take your food outside to the courtyard where there are acres of grass, outside activities and picnic tables. If you want more of a formal meal, there is a higher end, sit-down restaurant that was added more recently called The Farmhouse restaurant. Reservations are recommended and you can even book the banquet hall for events. Getting married at Fair Oaks Farms would be my daughter’s dream, seriously. The outdoor activities are what make a day at Fair Oaks Farm truly magical for my kids. There is an enormous, inflatable bounce pad, a climbing wall, maze, koi pond, pedal tractors, and playgrounds. The grounds are beautiful and there is plenty to keep the family busy. If the weather isn’t nice, there is still lots to do inside, but a nice day means the kids can run and play outside. If you attend Fair Oaks Farms twice or more a year, it is financially worth it to purchase their annual pass. A year’s worth of fun, activities, and special events (there was a Kite Feast this past weekend) for a reasonable price. Fair Oaks Farms is the best agritourism attraction I have ever seen. They have a way of combining education with fun. It is a place my kids love to go and every time we go, they seem to be expanding. When we went last week, we saw that they were adding a hotel. 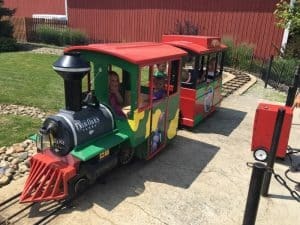 Fair Oaks Farms is showing no signs of slowing down and it is a place I highly recommend bringing the kids!